Eugene Ley, age 84, of Alexandria, died surrounded by his family on September 5, 2018, in Alexandria. A memorial mass will be held at 10:30 a.m., Wednesday, September 12, 2018, at the Church of St. Mary, Alexandria with Fr. Steve Binsfeld officiating. Visitation is one hour prior the service at the church. Eugene Ley was born on May 13, 1934, in Watkins, Minnesota, to Gerald Ley and Florence (Borman) Ley. He married Audrey Running on June 25, 1958, and together they established a dental practice in Parkers Prairie, Minnesota. He received his DDS degree in 1958 and an MPH degree in 1979 from the University of Minnesota. He received an AMMED Officer E-1 Diploma in 1986 from the U.S. Army Academy of Health Sciences during his service in the National Guard in the late 1980s and early 1990s. Eugene (Geno) practiced dentistry in Parkers Prairie from 1958 to 1978. During those years, he served as an EMT and fireman for the Municipal Fire Department, clerk for the school board, counselor for the Boy Scouts, member of the Ottertail County Red Cross Board of Directors and member of the Parkers Prairie Lions Club. He was also involved in the Minnesota Dental Association on the state and regional level and served as the associate editor of Northwest Dentistry from 1981 to 1991. Geno served the University of Minnesota - Duluth (UMD), as Director for the Dental Hygiene Program from 1980 to 1990, then as an Associate Professor in the Department of Allied Clinical Health and a Professor in the Department of Health, Physical Education and Recreation until his retirement in 2006. In 1984, he was awarded a fellowship in the American College of Dentists. 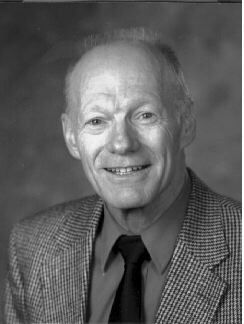 He received the Jean G. Blehart Award for Distinguished Teaching at UMD for 1996-97 and was appointed to the UMD Academy of Distinguished Teachers in 2005. While teaching at UMD, Geno became involved in national health research. He participated in many significant National Institutes of Health (NIH) studies where he served as a consultant, trainer, quality control officer, computer programmer and standard examiner. He also designed and wrote numerous computerized training and data management programs. After his retirement from UMD, he continued to contract independently for national health care studies until 2011. Geno enjoyed the outdoors and truly loved traveling and spending time with his family. He was preceded in death by his parents; and two brothers, Robert and Kenneth. He is survived by his loving wife, Audrey; two daughters, Cindy (Dean) Curtis of Springfield, Missouri, and Nancy (Dan) Lasch of Lino Lakes, Minnesota; four grandsons, Tim Lasch, Andy Curtis, Rob Lasch and Will Curtis; two sisters, Mary Jean (Charlie) Theis and Elaine (Thomas) Onan; two sisters-in-law, Kathy Ley and Marianna Ley; as well as nieces, nephews and many friends. Memorials may be made to the organization of the donor’s choice.